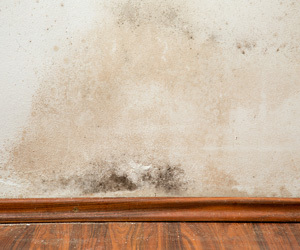 Mold in a home can cause a variety of problems for homeowners and builders. Mold can affect indoor air quality, create health issues for occupants, and be a complicated problem to fix. In order for mold to grow it needs mold spores to be present (which are all around), moisture, and warm temperatures. While all three elements are necessary for mold to grow, moisture regulation is a significant contributor that can be managed. Properly air sealing wall cavities helps keep moist outside air out of the home. If needed, allow drying time for the materials before closing up the wall. This should include carefully monitoring humidity levels on the job site. When a building is air sealed, it’s important to have a proper ventilation system. This helps move out any damp air that could contribute to mold issues in the home. One of the most common areas where mold growth is found is on basement rim joists and box sills. When basement box sills are insulated with fiberglass batts and not air sealed, moist outside air can infiltrate the home and mold can build up behind these batts. Insulating and sealing box sills with spray foam insulation can prevent infiltration of moist outside air. Taking the necessary steps to prevent mold from the beginning will save headaches and money for homeowners. Concerned about mold in your home? We can help. Contact us for a free estimate.